The band describes two of their albums, The Poison and Fever, as having a “super dark” tone. It was released on 18 November 2013 as a promotional single to showcase what the band’s future material will sound like. The song is featured as a deluxe edition bonus track on the band’s fifth album Venom. This would prove to be the final song that featured Jason James on bass after the band and he parted ways in February 2015. When the band arrived in the studio to record this song, it didn’t have a title or even lyrics. Venom is the fifth studio album by the Welsh heavy metal band Bullet for My Valentine, released on 14 August 2015. It is the first album by the band since the departure of bassist Jason “Jay” James, which was announced in February 2015 while the band was recording the album. Jamie Mathias was announced as his replacement on 18 May 2015, along with the album’s title, release date and release of the album’s first single, “No Way Out”. “No Way Out” and “Broken” were premiered live during the band’s headlining performance at the Camden Rocks Festival in London on 30 May 2015. The second and third singles, “You Want a Battle? (Here’s a War)” and “Army of Noise”, were released on 29 June and 17 July 2015, respectively. Another two songs, “Playing God” and “Worthless” were released respectively on 10 August and 13 August 2015. The whole album was made available for streaming on YouTube on 14 August 2015. 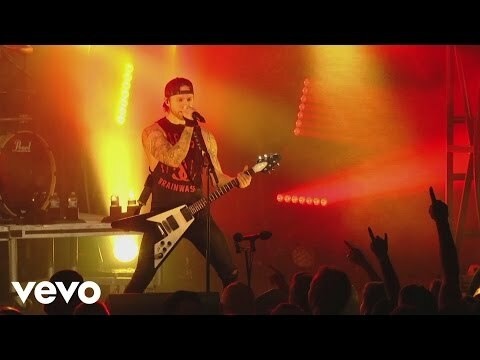 Bullet For My Valentine have released a live video featuring a performance of their track Raising Hell. It was shot during the band’s recent tour stop in Birmingham, Alabama, in support of fifth album Venom. 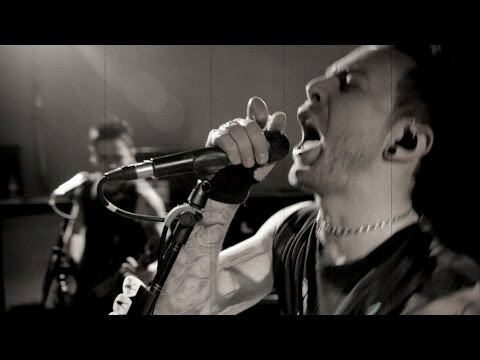 Matt Tuck said last year: “The album is hands down the best thing we’ve ever done. To have that arsenal of weapons now and to be able to play these songs feels sick. It’s good to be back. Kicking and screaming and going down swinging. Without my soul, you’re a gun without a trigger. Fate is unfolding, who made you the king of the dead? I’ll fight forever as the heavens fall. You got a choice, you digress off your master?! I know, I’ll destroy you! Here I come at you!